In a new analysis, real estate information portal and brokerage Zoocasa fond that year-to-date (January 1 to August 28, 2018), the average price of a 1-bedroom condo in the city is $473,800 (up 11% from 2017), and a 2-bedroom condo stands at $641,056 (up 7% from 2017). 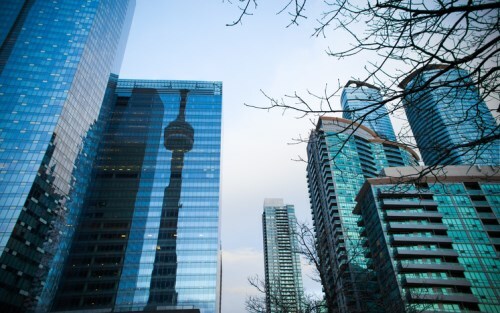 Zoocasa, which looked at the sold data for 1- and 2-bedroom condo buildings in 95 neighborhoods across Toronto, said that the results attested to the unparalleled influence of steady demand for the market’s condo units. This was supported by a June report from the Building Industry and Land Development Association, which stated that the sales volume of GTA’s condos has consistently exceeded that of single-family homes so far this year. BILD said that despite the benchmark price for the housing type growing by 23.5% year-over-year (up to $774,554) in June, condo units in Toronto’s low-, medium-, and high-rises accounted for 2,079 transactions, out of that month’s total of 2,500 new home sales.